The evening's not over yet, by the way. I think I'm set to offer a bit of a preview to a few guests shortly. They're more than welcome to report later, if they so choose. Tickets for the August 28 and 29 performances of The Two Towers Live are now available at Wolf Trap's official site. Click here to get the ball rolling! 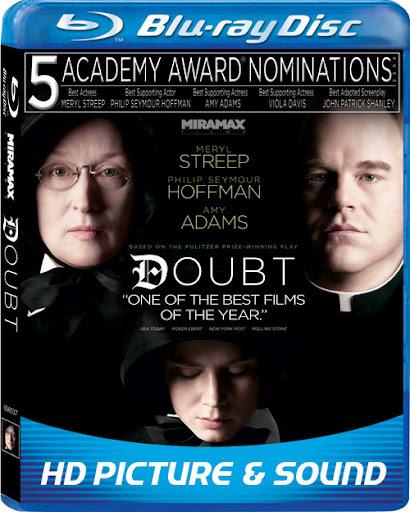 Doubt will make its way to home video (DVD and Blu-ray) on April 7, and will feature a short documentary wherein Howard Shore discusses his work on the film. 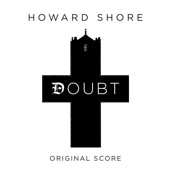 And remember, the Doubt score will also be debuting on CD this coming Tuesday as one of Howe Records' two premiere releases. 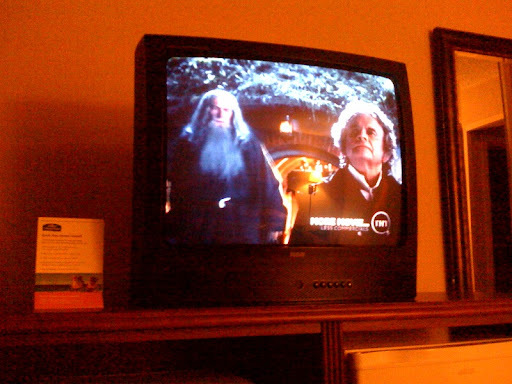 I'm on the road today and tomorrow, so please excuse the terse posts. Good news, however. 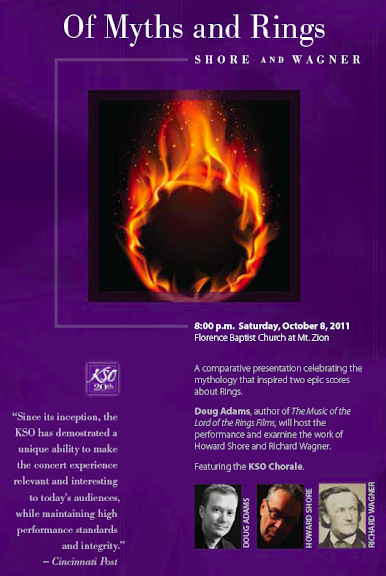 The LOTR Symphony is coming to Kansas City on May 7 and 8. More details when I'm not updating via coach bus! UPDATE: The Kansas City Symphony's official website now features the graphic below, and they've placed the LOTR Symphony on its May Calendar of Events. Tickets should be available soon. 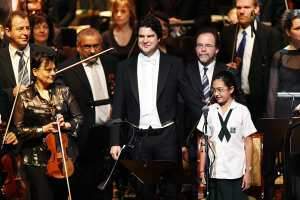 Remember that the LOTR Symphony plays Abu Dhabi this evening, Feb 13. Abu Dhabi Classics has a brief write-up available here. If anyone reading attends, please let us know how it goes. Markus Huber can always be counted on to provide a fiery, spirited reading. The National takes a look at prep work for this Friday's performance of the LOTR Symphony in Abu Dhabi. The article's title: "The score can be troublesome even for a professional choir"
Spent much of the day reworking elements from TTT:CR's liners into a short thematic guide for next month's Lucerne premiere. Feels odd to revisit some of this older material--especially since so much was altered and gussied up for the book. In fact, some of it I hardly recognize now. Time passes too fast! As of this minute, all three Complete Recordings sets are available on Amazon.com! UPDATE: ...And TTT:CR is sold out again. They must have gone at an incredible rate! Amazon's itchy Discontinued finger has once again twitched, but don't worry, stock has not run out at Warners. Guess I'll be keeping my eyes peeled a bit longer yet. There was Eru, the One, who in Arda is called Ilúvatar; and he made first the Ainur, the Holy Ones, that were the offspring of his thought, and they were with him before aught else was made. And he spoke to them, propounding to them themes of music; and they sang before him, and he was glad. But for a long while they sang only each alone, or but few together, while the rest hearkened; for each comprehended only that part of me mind of Ilúvatar from which he came, and in the understanding of their brethren they grew but slowly. Yet ever as they listened they came to deeper understanding, and increased in unison and harmony. 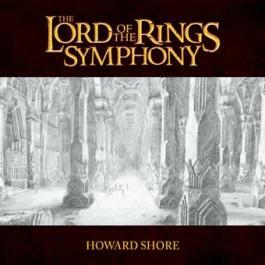 Then the voices of the Ainur, like unto harps and lutes, and pipes and trumpets, and viols and organs, and like unto countless choirs singing with words, began to fashion the theme of Ilúvatar to a great music; and a sound arose of endless interchanging melodies woven in harmony that passed beyond hearing into the depths and into the heights, and the places of the dwelling of Ilúvatar were filled to overflowing, and the music and the echo of the music went out into the Void, and it was not void. But now Ilúvatar sat and hearkened, and for a great while it seemed good to him, for in the music there were no flaws. But as the theme progressed, it came into the heart of Melkor to interweave matters of his own imagining that were not in accord with the theme of Ilúvatar, for he sought therein to increase the power and glory of the part assigned to himself. To Melkor among the Ainur had been given the greatest gifts of power and knowledge, and he had a share in all the gifts of his brethren. He had gone often alone into the void places seeking the Imperishable Flame; for desire grew hot within him to bring into Being things of his own, and it seemed to him that Ilúvatar took no thought for the Void, and he was impatient of its emptiness. Yet he found not the Fire, for it is with Ilúvatar. But being alone he had begun to conceive thoughts of his own unlike those of his brethren. 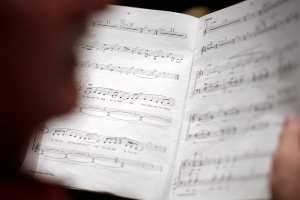 Some of these thoughts he now wove into his music, and straightway discord arose about him, and many that sang nigh him grew despondent, and their thought was disturbed and their music faltered; but some began to attune their music to his rather than to the thought which they had at first. Then the discord of Melkor spread ever wider, and the melodies which had been heard before foundered in a sea of turbulent sound. But Ilúvatar sat and hearkened until it seemed that about his throne there was a raging storm, as of dark waters that made war one upon another in an endless wrath that would not be assuaged. This is a dramatic concept. And again, a parallel can be found in Shore's work where the commingling of beauty and brutality, joy and pain provides much of the emotional resonance. Tonight, I'm incredibly proud to announce that it is this very discord that has inspired the great John Howe to draw "Melkor's Theme," a new work of art that will be featured in The Music of the Lord of the Rings Films. John and I have been in communication for the better part of the last several months. His final draft was delivered this Monday, and it's a stunning work -- a vortex of detail that exposes layers of details and nuance with each viewing. Here Howe has depicted, for the first time that I'm aware, the face of Melkor and the fury of his contact with a dawning world. Now if you're expecting a full reveal of the work here... you don't know me very well. :) But I'm certainly not averse to offering a taste. Thank you, John, for contributing your genius. ...And since we're on the subject, I'm also happy to announce that the book will be welcoming yet another guest contributor in the coming weeks. Stay tuned for that announcement. So says Amazon to me. So say I to you. Big announcement... coming later this week.